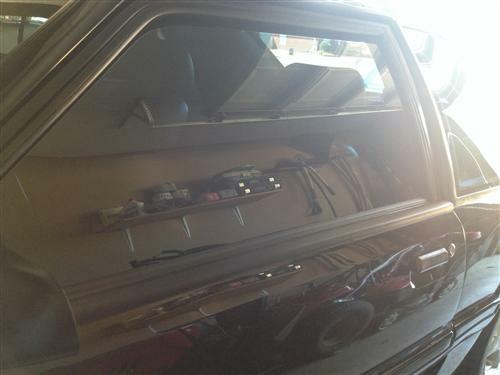 Seal up your Fox windows with this 1979-1993 Mustang outer door belt molding and seal kit! 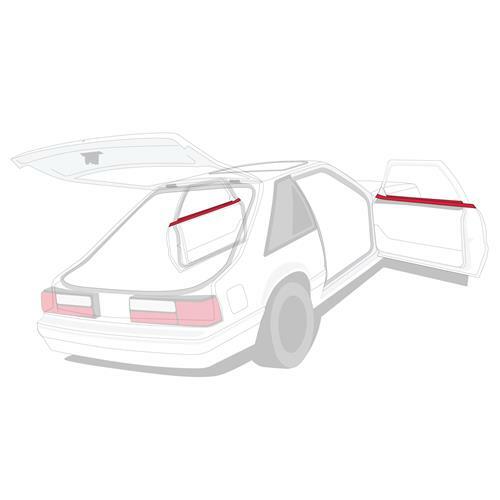 This is a complete door belt molding and weatherstrip kit for your 1987-1993 Mustang LX, GT or Cobra. 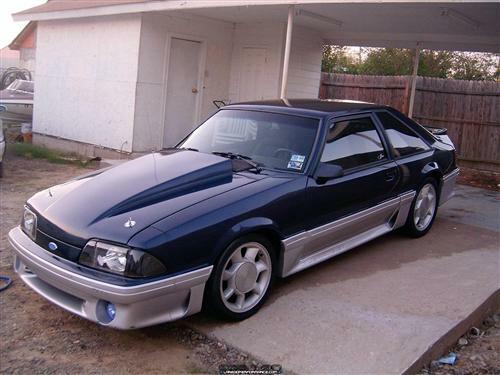 This 5.0 Resto kit replaces both the door belt moldings and the door belt weatherstrip in one sweep. 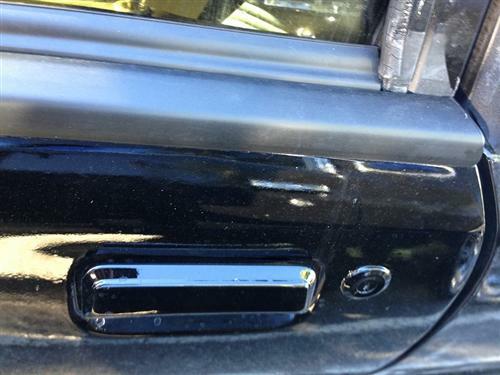 The Mustang outer door belt molding is often times faded or has chipped black paint. 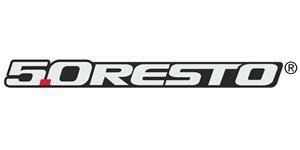 This kit will replace both driver and passenger side moldings. The door belt molding attaches to the top of the door right under the window. It slides on to retainers and runs from the back of the door up to the mirror. The molding is held in place with a set screw that is located at the back of the door. 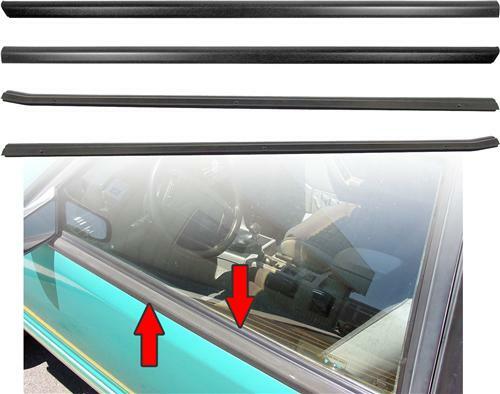 The door belt weatherstrip, sometimes called "dew wipe", is located to the inside of the door belt molding and presses against the door glass to seal it off from water. It attaches to the top of the door with rivets that can be purchased locally from any hardware store. Often times this piece dry rots and cracks which can be painful if you rest your arm on the window sill while driving. These outer door belt molding retainers are the round disc style that are correct for 88-93 Mustangs. 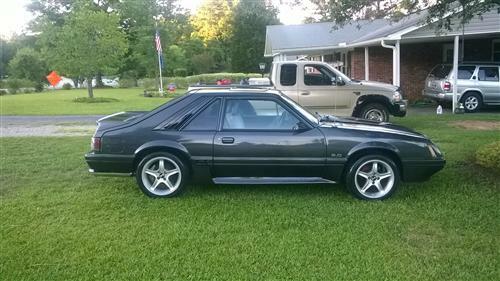 1987 and some early 1988 Mustangs used a square retainer that is not available. You can easily use the round style retainer by simply drilling a few holes and riveting the new discs in to place.